beaches, parks, garden centers, and nurseries when I have free time. that serve as inspiration for projects that I undertake. 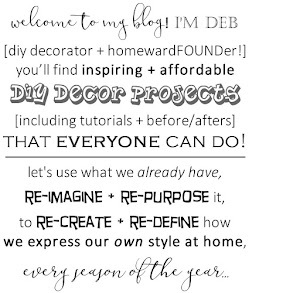 I was inspired by the idea of ivy-covered birdcages and domes. 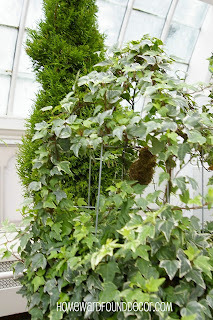 and the Conservatory of Flowers in Golden Gate Park, San Francisco, CA. really did the trick of getting my brain into gear. 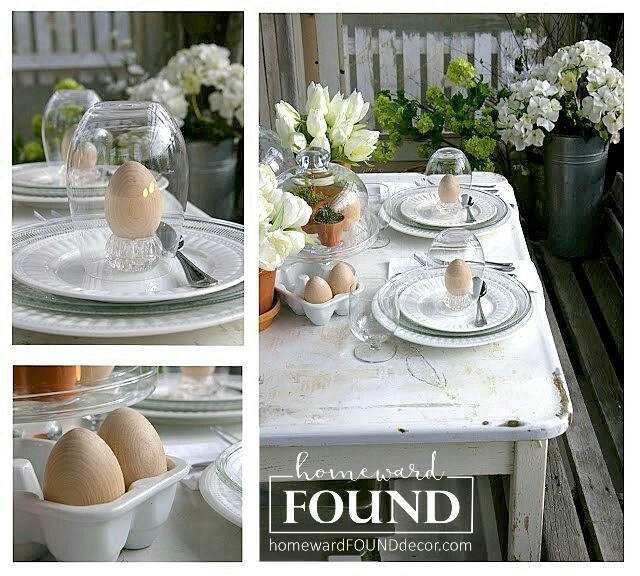 It's easy - with just THREE CHEAP 'ingredients', two tools, and half an hour! by clipping the circular wire on each side of the upright wires. causing the wires to meet at the apex. They should meet where the 'crosses' are left from where you cut off the top ring. 3. Bend one metal paper clip around the point where the three wires cross to secure them together. 4. Bend another metal paper clip into a 'U' shape, and attach it at the apex of the dome. Twist the two ends of the 'U' around the existing wire supports, to secure it for hanging the dome. 5. Wrap each of the three wires around the circular ring to secure it in place. Leave @4" of wire hanging below that wrapped loop. 6. Bend the ends of each of the three hanging wires into a small open loop. Bend the ends of each of the cut wire ring sections (that you removed earlier) into a small open loop. and the other around the bottom ring of the cage. Bend them inward to close the loop. 8. Repeat until all added uprights are secured to the bottom ring using the loops. 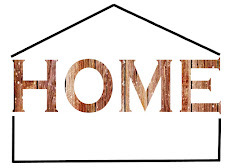 You can use the dome as-is with no greenery, as shown in this post. 9. 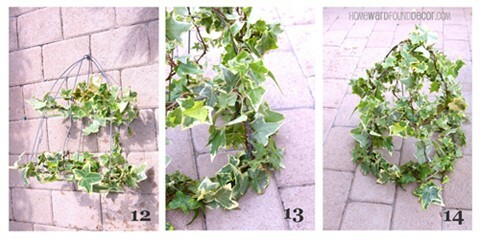 Separate your cut ivy pieces into long and short pieces. one of the loops on the form. Twist the ivy around the wire as you move across the form, and overlap pieces. 11. 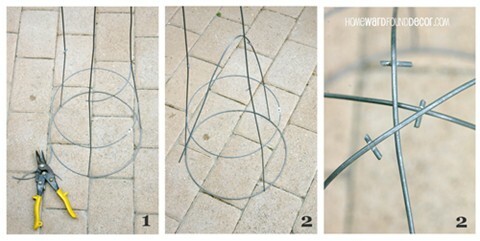 Lay the wire form down on its side, then add & wrap ivy around the first (bottom) ring. 12. Add & wrap ivy around the second (upper) ring as you did the bottom. 13. 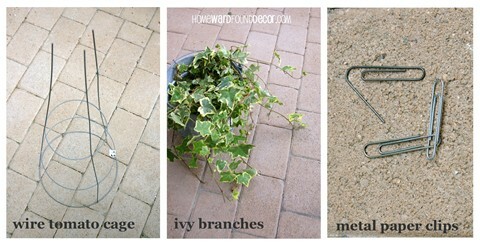 Add & wrap ivy around each of the upright wires. 14. Your finished Ivy Dome! Made from real ivy, this will last a few days. Mist with water to keep fresher.